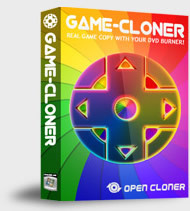 Note: You can download the trial version of Game-Cloner first to have a try of game copy experience before you buy it. The trial version can only copy games for 10 times. If you want to copy more, you need to buy a registered version HERE.